Customer Picture Number 145 Selected. Cool Car decals applied. 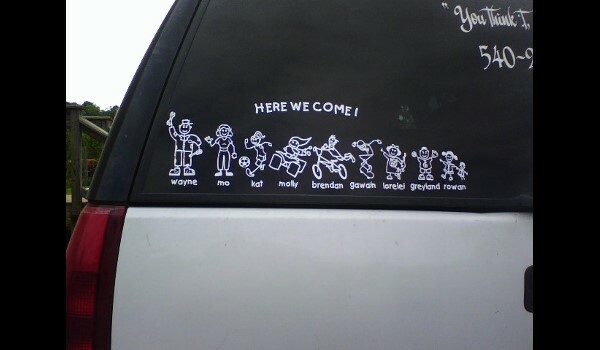 Your family decal came out great Mo! The color white really stands out well on the glass.